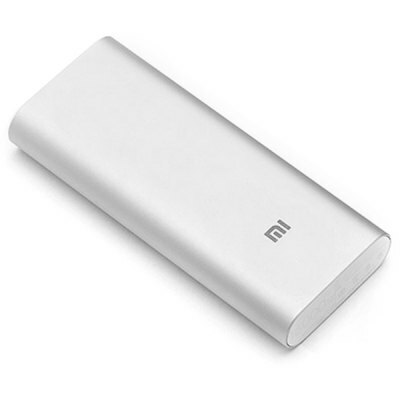 The Chinese company, Xiaomi, has revolutionized how smartphones and mobile accessories are priced in the markets that they are present in. 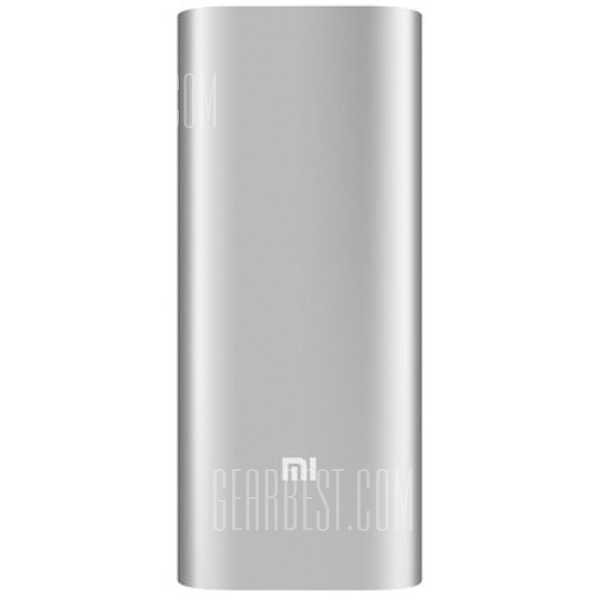 At $12.89, the 10,400mAh Mi Power Bank is one of the cheapest ones available and has redefined the category. From Nexus reviews to countless device announcements and comparisons, this is pretty much what diehard Android fans live for. This week we managed to bring you full, comprehensive reviews of the Nexus 6P, Nexus 5X and HTC’s new One A9 flagship, as well as our first impressions of the newly-announced OnePlus X, Motorola Droid Turbo 2, Droid Maxx 2 and Samsung Galaxy View tablet. That’s not all, though. In hopes to help you decide between some of the better Android devices on the market, we brought you full comparisons of the two new Nexus phones, as well as the Nexus 5X vs the Motorola Moto X Style. Here are the Android-related videos you don’t want to miss this week. Google’s new Nexus 6P might be the best Nexus to date, but is there anything important you should know before you pick one up for yourself? Don’t miss Josh’s full review of the Nexus 6P. The Nexus 5X boasts a premium design and solid specs for the price point, making it a true successor to LG’s original Nexus 5. Check out Lanh’s review to learn all there is to know about the Nexus 5X. HTC is trying something different with the One A9. Does this device bring anything new to the table, or is it merely an iPhone clone? Josh’s full review of the handset will answer all of your questions. If you thought the OnePlus 2 was a great handset for the money, wait until you see the OnePlus X. At just $250, this is one killer device! The successor to the original Droid Turbo is finally here, and we go hands-on with Motorola’s new unbreakable smartphone! Want something similar to the Droid Turbo that won’t break the bank? Motorola’s new Droid Maxx 2 may be just what you’re looking for. Samsung just announced its huge 18.4-inch Android-powered tablet, the Galaxy View, and we were able to bring you an early look. Don’t miss Nirave’s first impressions on this new device. Trying to decide between Google’s new Nexus phones? Perhaps this will help. Be sure to check out Josh’s head to head comparison of the Nexus 6P and the Nexus 5X. The Nexus 5X and Moto X Style have similar specifications and price points, but which one is right for you? Join Lanh as he compares the Nexus 5X and the Moto X Style. The latest smartphones from Motorola offer premium specs and build quality, but how do they differ from one another? Krystal goes hands-on with the Droid Turbo 2 and the Moto X Style. This past month brought us some really great applications and games that you don’t want to miss. Be sure to check out Joe’s list of the 10 best Android apps and games from October 2015. YouTube Red, YouTube Music, Apple Music spotted! – you don’t want to miss Joe’s newest episode of Android Apps Weekly! It’s the last day of October, and we all know what that means; HALLOWEEN. Time to bust out the ghouls and goblins and get some free candy in the process. Well, we don’t have candy, but we do have some awesome one-day deals to share with you to commemorate the kickoff to the holiday season. Each one of the deals you’ll find listed below, is not only already on sale, but you can save an extra 15% off with the use of SCARY15. So go ahead, check out these deals, and drop us a line letting us know which one you’ve picked up. 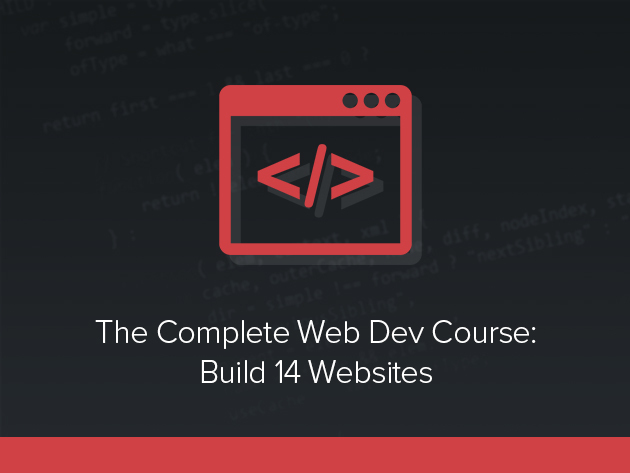 This bundle, composed of over 74 hours of training and 8 extensive courses, is everything you’ll need to cut your teeth in the world of developing. You’ll learn the ins and outs of crafting applications, building websites and getting involved in an industry where the pay is pretty darn good. You’ll have expert guidance and access to quality instructors whose goal is to help you become the best coder you can be. You’ll be exposed to Pyhton, Node.js, MongoDB, Ruby on Rails, PHP, Heroku and more. A comprehensive course like this would usually run you thousands of dollars but AndroidGuys can unlock their inner developer with this bundle for just $59! The Limited Edition Code Black Drone is a perfect item for video enthusiasts, gadget-lovers, aviation fanatics, kids, Batman fans (chicks dig the drone), and just about everyone else. 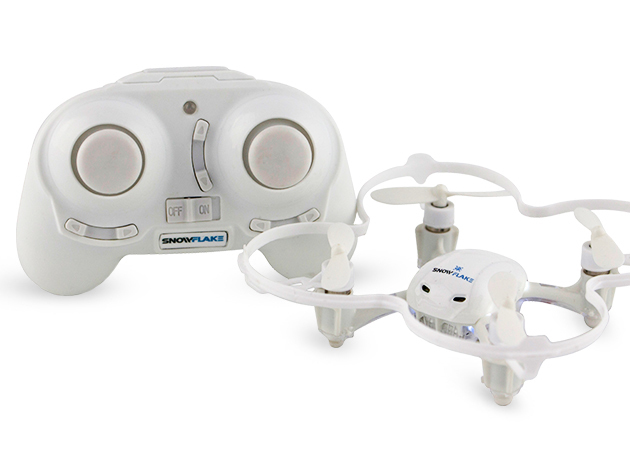 An inexpensive alternative to higher-priced quadcopters, this drone is fun and customize-able with beginner and expert flight modes. With its USB charging design and 6-axis control system, you’ll be the hit of the party when you break this out and take to the skies. The controller takes 4 AAA batteries (not included) and is ready-to-fly out of the box. For just $84.99, you’ll be kicking off your Summer with an aerial flair. “Winter Is Coming”. That’s what you get with the Snowflake Stealth Drone. 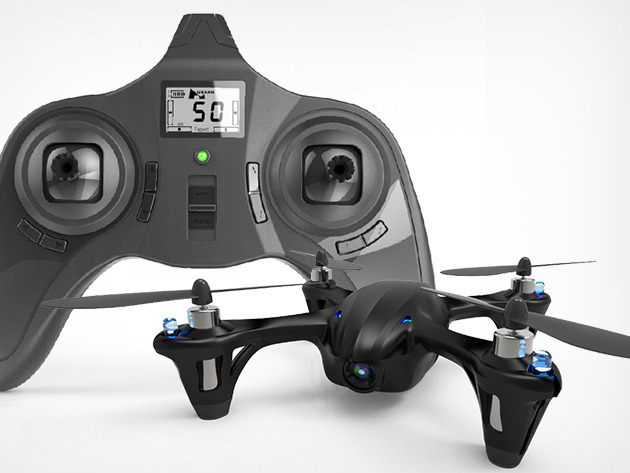 Like the ‘Code Black’, this drone is a great deal for a high-quality drone. With built-in safety-protected propellers, you’ll be able to crash and get right back up and keep on flying. Linux, the operating system on which Android was built, is an attractive alternative to many developers and tech-savvy user who can’t get their kicks from Windows or OSX. 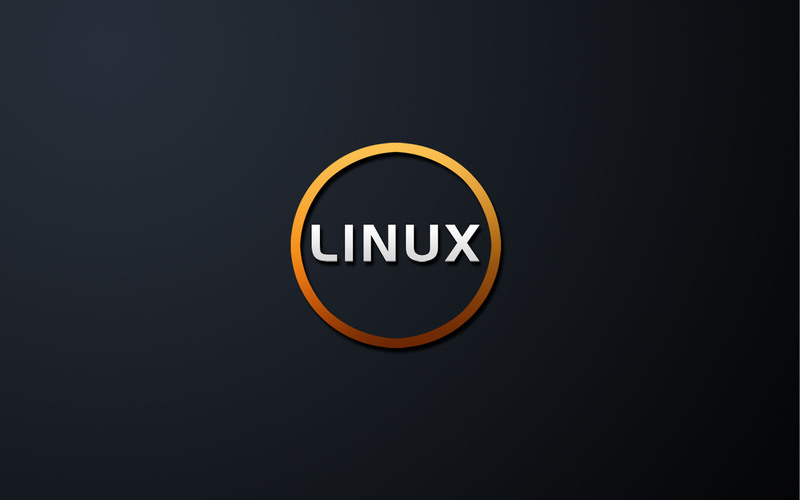 Designed for open-source distribution, Linux was developed in 1991 and remains one of the most prominent examples of free software available. If you’re one of the folks that craves something “more” and have a desire to grow and learn, Linux is probably for you. Worried about a learning curve? We’ve got you covered with the Linux Learner Bundle! The Linux Learner Bundle is a one-stop shop for beginners and experts alike that will guide and instruct you on all of the fundamentals necessary to truly grasp this fine operating system. With 5 elite courses and over 40 hours of tutelage, you’ll learn to the ins and outs of the OS, begin running servers and become certified in pentesting. Having a good Bluetooth speaker for those random house parties or get-togethers is relatively important. So wouldn’t you want to have a speaker that catches the attention of your guests as they walk in the door? If so, check out the Lyrix Axis. This speaker hovers over its base, floating in mid-air, while letting you rock out to your tunes. So with a speaker like this, you would think that there would be a lot of recharging that would be necessary. Not so fast. 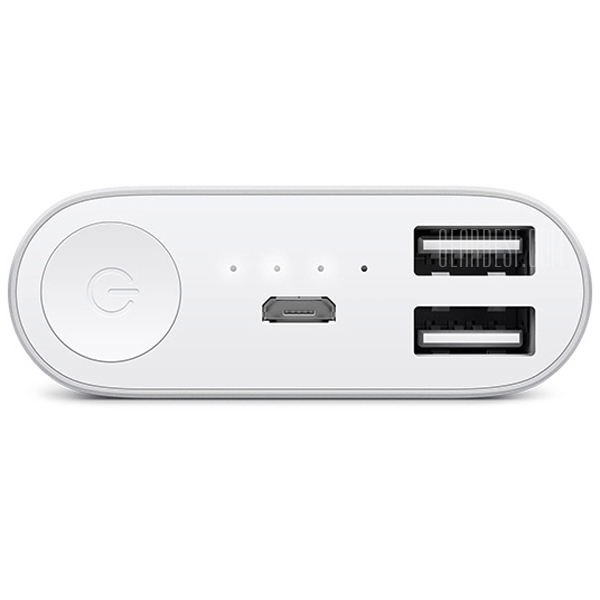 The Lyrix Axis also has wireless charging, so you can keep the good times rolling, all night. Normally priced at $200, you can grab the Lyrix Axis for 30% off at only $139.95. 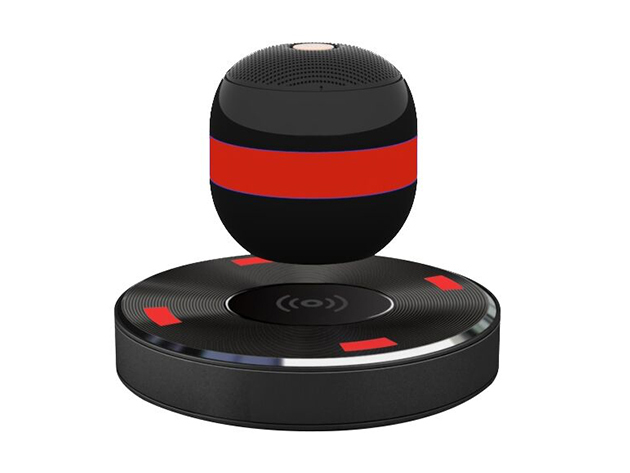 This a great deal for a levitating speaker that should rock the party. There are often times when I feel like an old prison guard with a huge loop of keys at the hip weighing me down from one side. If you’re anything like me, you’ve got more keys than you’d care for but can’t quite leave the house without all of them. This means carrying around a hunk of jingling metal everywhere you go. It can be quite embarrassing trying to go for a jog when you alarm every fellow runner you approach with the sound of Santa’s sleigh at their heels. Good news, KeySmart will solve all of these problems. 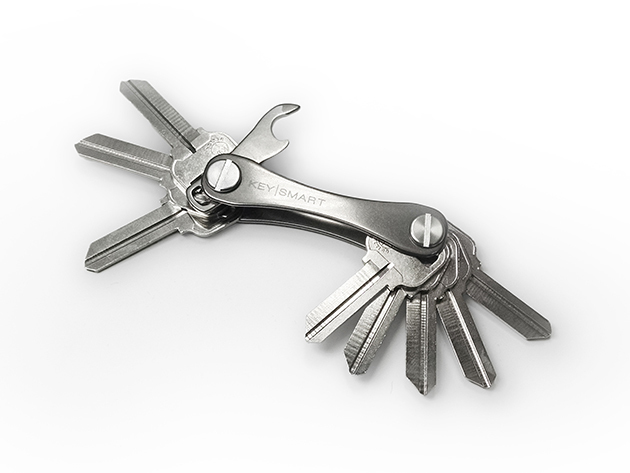 KeySmart 2.0 is designed to organize your keys in a compact form factor yet still provides fast and reliable access. With a lightweight body, KeySmart can hold double your amount of keys in just half the space. This eliminates the bulk, noise and inconvenience of unkempt gobs of metal. Sleek, practical and minimal, KeySmart 2.0 is available to AndroidGuys readers for just $29.99. Definitely a great buy! It’s the end of October, and that means the temperatures will be dropping very soon. While the temperatures will be dropping, you’ll want to keep warm, but this poses a problem. It’s possible for some devices to be used while wearing gloves, but they are few and far in between. 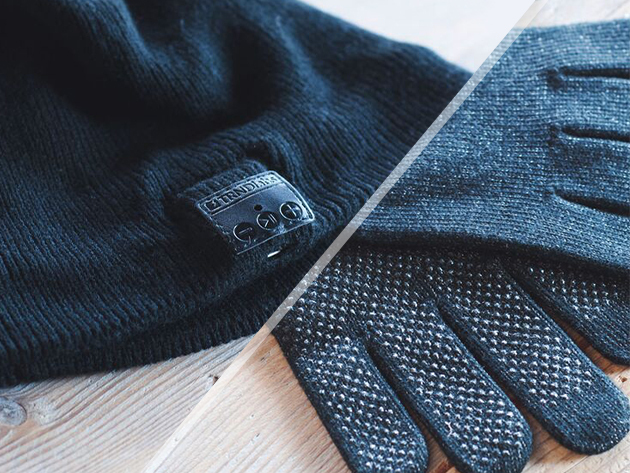 The Touchscreen Gloves allow for you to be able to still use your phone, and keep your fingers warm at the same time. Additionally, you’ll want to be able to listen to your tunes and take calls while keeping your noggin warm. That’s where the Bluetooth Beanie comes into play. Keep your head warm and listen to your favorite tunes without any hassle. Head over to the AndroidGuys Deals page, and grab these for only $39, while saving 60% off. These are some absolutely great deals to get the 2015 Holiday season started. Don’t forget to enter SCARY15 and save an extra 15% on anything you purchase today. Drop us a line below, and let us know what you are dressing up for Halloween. The post [Deals] Celebrate Halloween with 15% off any of these spooktacular deals appeared first on AndroidGuys. This article originally appeared on Fast Company and is reprinted with permission. I’m not important enough to have what the rich and powerful call “people.” Most of us aren’t. The average personal assistant is paid about $31,000 a year, while the average wage for the US job market is roughly $5,000 less than that. In other words, for a majority of Americans, it would be a sizable step up just to become a personal assistant. No one really knows what’s in those bottles of Fallout Beer, but they likely won’t hit US shores. What will however is Nuka-Cola Quantum. The folks at Fallout developer Bethesda have teamed up with the purveyors of funky fizzy drinks, Jones Soda, to put the “irradiated” refreshment on Target shelves just in time for Fallout 4‘s launch. Come November 10th, you’ll be able to start slugging down what looks like the company’s Berry Lemonade (a picture’s embedded after the break) in preparation for what we’re affectionately calling “Vault Day” here at Engadget. You know, what everyone else is referring to as November 10th, a.k.a. Fallout 4‘s release date. Rooting legend Chainfire has released an Android 6.0 root method that doesn’t modify the /system partition. Chainfire emphasizes that this root is highly experimental and probably prone to bugs, but if this experiment is successful, it could make for a much cleaner approach to rooting Android. There could be many benefits to this new approach. For one, a standard factory reset would remove the root. This is pretty interesting, because currently unrooting a device is a significantly more involved process. Also, this removes the risk of bricking your phone if you use the wrong kernel. Instead of bricking, and incorrect attempt at rooting with an unsupported kernel will simply fail to root the device. However, if you’re looking to use this root on top of an older one, you’ll naturally need to reflash your stock /system partition before beginning. Chainfire is, of course, the mastermind behind projects like SuperSu, CF Auto Root, CF.lumen, and TriangleAway. He’s an incredibly seminal developer in the Android modding community and is currently a senior moderator and developer at XDA. If you’re feeling curious and bold, head over to the XDA forum where Chainfire released this newest idea. However, to keep discussion about the method centralized, Chainfire is requesting that all discussion and experimentation with the new method happen over in the SuperSU Beta forum. Cassini has just finished the second of three planned Enceladus flybys on October 28th, going as close at 30 miles above the surface of the icy moon’s south polar region. The photo above was taken after the flyby, showing both the moon and Saturn’s rings, but rest assured the probe took a lot of close-up photos. It even grabbed some of the gas and dust that erupted from one of Enceladus’ geysers that typically spew water and other materials up to 125 miles into the sky. NASA will analyze those samples within the next few weeks, which should gives us more details about the composition of the moon’s ocean floor, as well as about any underwater hydrothermal activity. Cassini made the first flyby this early October to take a closer look at Enceladus’ north pole region. It’s scheduled to make its last one on December 19th to measure the heat the moon gives of, after which it’ll move on to other things for the last two years of its life. Previously, if you wanted to take your Amazon Prime tunes on the go, you were limited by the internal storage of your device. Offline playback was available, sure, but not for microSD cards. Songs can add up fast in terms of storage space. For a long time, users have been crying out for Prime Music to allow offline playback of songs downloaded to memory cards so that they wouldn’t have to be constantly picking and choosing which songs they were going to bring along with them. Finally, Amazon updated the app to gain the ability to store songs on the microSD card for offline playing. In addition to this, Prime Music received support for Android Wear. Now your favorite streaming service can integrate seamlessly with your wearables, allowing you to control your beats without even pulling out your phone. Small perks, to be sure, but Prime Music has to pull out whatever stops it can to get ahead in this market. Amazon’s streaming service has long been lagging behind more popular services like iTunes, Pandora, Google Music All Access, and Spotify. The main culprit in this shortfalling is Prime’s noticeably smaller library, but Amazon has been making efforts on this front as well, steadily adding to their catalog. They’ve also introduced Prime Stations to go head to head with streaming radio services, and this most recent update also added a “New to Prime” section to put a spotlight on the music Amazon has been acquiring for the service. There’s also a new “Popular” selection so that you can keep your finger on the pulse of what’s trending in today’s music world. Only time will tell if Amazon Prime’s music service will reach the levels of popularity enjoyed by other major streaming services, but if they keep at it with these updates, the future looks bright for them. If you’re an Amazon Prime account holder, you can give their music app a spin by downloading it from the Google Play Store. What do you think? Do you use Prime to stream your music? Why do you prefer it over other streaming services? To get you in the proper mindset for tonight’s ghoulish activities, Grantland offers a look at the best horror movie monsters of all time. Jason, Michael, Freddy and Leatherface are all considered for categories like best costume, most creative kill and more. Take a look… if you dare.